Before the recent failings of my body, too tedious to go into here, I used to do a bit of hill walking, scrambling and rock climbing. I visited France a couple of times and tried to climb Mont Blanc with a friend. The weather was poor on that occasion and we turned back after a night in a hut below the last long ascent to the summit. I’ve tried, unsuccessfully (apart, perhaps, for a line or two in a poem about working a night shift as a nurse) to write of climbing; of being attached to a companion on a rope, held aloft by figures and toes, of the texture and colour of rock and the body and mind’s relationship to it, of mountain environments where I’ve been frightened, elated, contemplative, challenged and humbled. I learnt, through experience, that despite the use of the term ‘conquer’ in relation to reaching the summit, no human being conquers a mountain: rather, weather permitting, a mountain may allow the climber a brief experience of a world away from an urbanised life. I remember, on one occasion telling a companion that I felt I was part of the mountain. This might sound ridiculous, but I was experiencing a completeness and profound sense of belonging I hadn’t experienced before. Related to that feeling is the one I sometimes get when I am totally absorbed in writing poems. Perhaps I find it difficult to write ‘mountain’ poems due to the enormity of the mountain landscape. Or maybe the profundity of the experience makes it hard to capture in words. Maybe the language used to describe extreme and rugged terrain and physical struggle is a barrier to the capturing the inner world of the climber. I’ve also tried writing about climbers, but have not been satisfied with the results, often regarding what I’ve written as one dimensional and lacking, for want of a better word ‘soul’. .
Not everyone struggles as I do, however. In her second collection, ‘No Map Could Show Them’ Helen Mort has written a number of immersive, contemplative poems about climbing and climbers. There is a sure-footed purity to her poems, a hard-won simplicity that seems ideally suited to this subject matter. It is as though a light, strong and precise touch is exactly what is required to make these poems adhere to the page and memory. 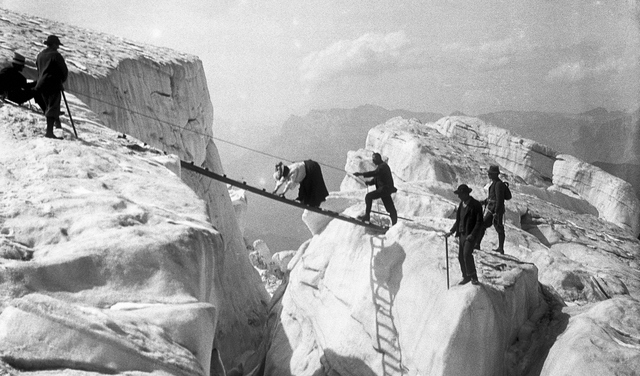 Perhaps it is the nature of both poetry and climbing that one false move could result in a fall. I began to read this book the day before it was announced that the climber Junko Tabei had died. Tabei was the first woman to climb Everest. Years ago I used to pour over climbing books; Chris Bonington’s, Joe Simpson’s, Henrich Harrer’s ‘The White Spider’. It didn’t occur to me at the time that all these books were written by and about men and that there might be other stories and ways of seeing human relationships with mountains. 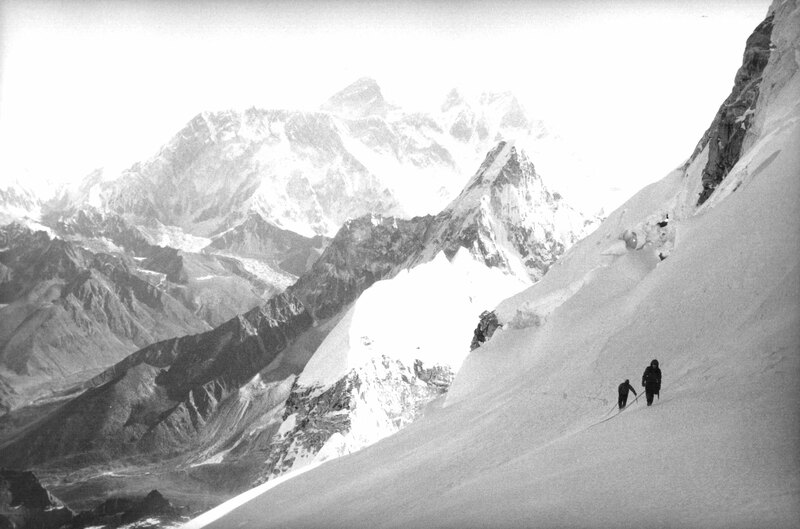 One aspect of this collection is its attempt to address this imbalance, to articulate and celebrate the lives of women mountaineers, to give voice to those who were often ‘not on the map’ in terms of recognition by male peers and the wider world in general. ‘An Easy Day for a Lady’ works, on one level, as the sort of ‘ climbing poem’ I admire. It captures something of the freedom and altering of perspective, both visual and in relation to how the viewer sees their life, afforded by climbing. It’s the kind of poem that should you close your eyes and listen, as I did at a recent reading given by its author, is able to transport you to a high place, a place where, should you turn round to look, you will see ‘the swooping absence/ of the face, the undone glaciers, crevasses closing in on themselves/ like flowers at night’. But the poem also works in its address of historical (and sadly not so historical) gender issues, dealing as it does with the irrelevance, to the woman narrator, of the title’s 1920’s quotation ‘An Easy Day for a Lady’, this being shorthand for a climb considered to be beneath a man once two women alone had achieved it. The speaker of the poem and her female companion, ‘en cordee‘ femininine‘ are literally and metaphorically above such language, unconstrained by social mores and able to ‘give back the silence/ at the dawn of things’. Other poems address the constraining garments considered suitable in Victorian times. The narrator in ‘Miss Jemima’s Swiss Journal’ longs to stand in her blue dress ‘ beneath the falls/ at Lauterbrunnen, higher/ than all society, a teardrop/ if only you saw me/ from the sky.’ Miss Jermima’s frustration, anger and sadness at her confined existence are all conveyed in this short and deceptively simple piece. The sequence of poems about the climber Alison Hargreaves is haunting, displaying great understatement and sensitivity. Containing sixty- five pages of poems, this collection feels and is substantial. Much of the work voices the rage of the suppressed and maltreated. There are also tender pieces and humorous touches. Many of these poems are celebrations of achievement; records of overcoming, or attempting to overcome, not only the often harsh conditions of the mountains, but also the everyday adversity and prejudice encountered by those in all environments, both elevated and domestic. Many of the protagonists, mainly, but not exclusively female, speak in refusal to have their worth defined or measured by others. I began writing here as a quick response to highlight some of the qualities I admire in the poems about climbing and climbers. There is a great deal more to discover. I am looking forward to reading this collection thoroughly and with care. Great stuff Roy, Helen is a terrific writer too. Thanks John. Wish I was there!